Math Game Monday - Odds/Evens and Numbers to 1000! Day 5: Make another alternation to the game to make it harder. 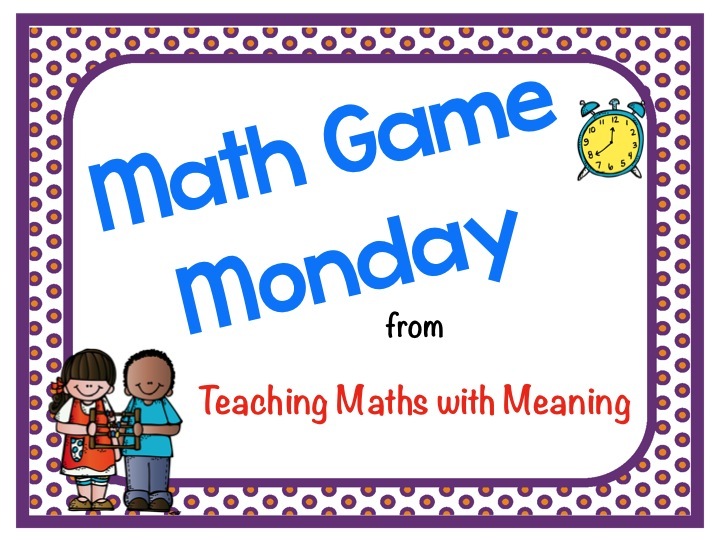 After reflecting on this, I was so glad that I have been putting together a big collection of Maths Games this year, not only to share with you all, but also for my own benefit. I forget games so easily! Now I have a ready bank of games to go back though, change the game, and build the mental computation skills of my students. 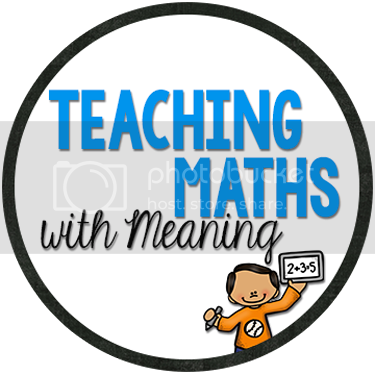 This week, we are going to work on developing our Times Tables skills. 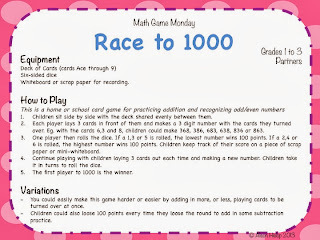 I have begun using math centers for quick finishers and I have seen a huge improvement in my kids skills. AND for once they don't hate working. I get boos when I tell them to clean up...... Its awesome! Thanks for all your great ideas.